STRATUM (AUS) (Bay 2002-Stud 2006). 2 wins at 2, STC Golden Slipper S., Gr.1. Leading Aust. Sire of 2YOs 2009-10. Sire of 544 rnrs, 371 wnrs, 28 SW, inc. Crystal Lily (STC Golden Slipper S., Gr.1), Streama, Stratum Star, Southern Lord, Unpretentious, Divine Calling, Running Tall, Enquare, Takedown, Va Pensiero, I'm All the Talk, Battle Hero, Misstrum, Texan, Tawteen, Averau, Bush Aviator, Darlington Abbey, Love Rocks, Queenstown, Anlon, etc. Meridian Star (f. by Stratum). Winner at 2 in 2015-16 in Aust. Leonardo Express. 5 wins from 1400m to 2500m, A$160,047, MVRC Advanced Mailing Solutions H., 2d MRC Inglis Bonus 3YO H., Cove Hotel H., Taralye P., MRC (Mornington) Browns Sawdust & Shavings H., 3d BRC Signature Refinish H., Liberal National Party H., MRC Sienna & Olivia Cup. Roman Eye. 5 wins from 1000m to 1600m, A$170,783, to 2014-15, MRC Lone Pine H., 2d SAJC Pagel Glass H., 3d MRC Hydrogen H., Event Landscaping Solutions H., MVRC Legends After the Last H.
Cent to Rome - Ho Happy (H.K.). 4 wins to 1200m, HKJC Fortune Room H., 2d HKJC Citibank Home Smart H., 3d VRC Tasman H., MRC Kenmark H., MVRC Australian Builders H., HKJC HKU Arts Alumni H.
TICKET TO ROME (At Talaq). 7 wins. See above. Silverthorne (Regal Classic). 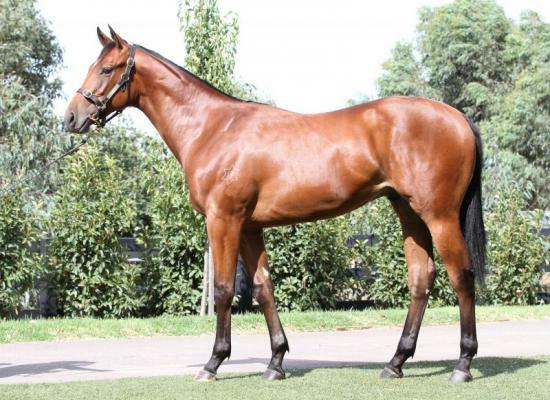 13 wins from 1200m to 2050m, A$134,010, QTC Country Race Clubs Welter H., Watney H., South East Country Race Clubs Welter H., 2d Toowoomba Cup, L, BTC Bank of Queensland H., QTC Prince Frolic H.
AMBER SKY (Exceed and Excel). Champion Griffin in Hong Kong in 2011-12. 7 wins-3 at 2-at 1000m, HK$7,906,000, 2,385,500Dhs in HK and U.A.E, Meydan Al Quoz Sprint, Gr.1, HKJC Kent & Curwen Centenary Sprint Cup, HK-1, Albatross H., Broadwood H., Yung Shue O P., Regensburg Griffin P., Gallop H., 2d HKJC Bauhinia Sprint Trophy, HK-3, Albert H., 3d HKJC Social Inclusion H., Friendship Bridge H., 4th Meydan Al Quoz Sprint, Gr.1, HKJC National Day Cup, HK-3. White Mist (Rubiton). 4 wins from 1150m to 1600m, A$116,300, MRC Auspower P., Richfield Lady H., Lady Sybil H., 3d MVRC Sunline S., Gr.2, MRC Lord S., L, 4th VRC Blamey S., Gr.2. Producer.